Mark the date, on September 4th, 2015 Hasbro is releasing the new Star Wars: The Force Awakens products and boy do they look nice! They will be selling the Black Series toys which includes the new Storm Trooper and other characters. During their reveal at San Diego Comic-Con this beauty that stands 26″ tall seemed to catch the most attention. 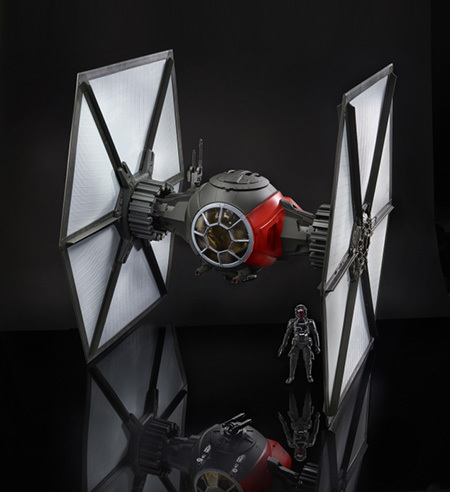 It’s a huge Tie Fighter and comes with a 6″ First Order Tie Pilot. It will set you back $169.99, but if you have a place to display it, it’s a must buy. 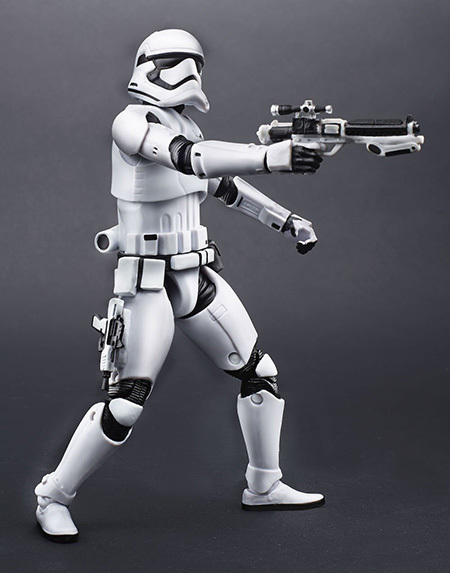 Another item that you can order today is the exclusive Star Wars the Black Series 6″ First Order Stormtrooper. <– Click this link or the images below to check it out. It’s $150.95 and shows only 2 left in stock. 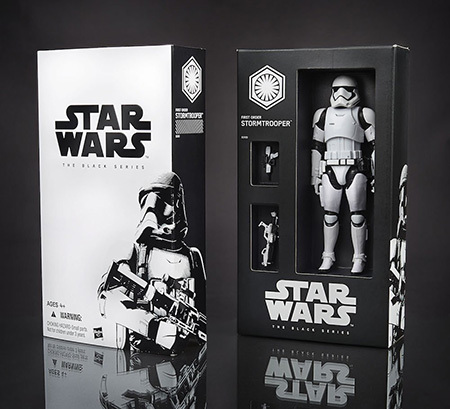 You can also check out other toys from the Black Series on Amazon. Click here and May the Force Be With You!